The articles in this volume of ARCHIMEDES examine particular cases of reception' in ways that emphasize pressing historiographical and methodological issues. Such issues arise in any consideration of the transmission and appropriation of scientific concepts and practices that originated in the several centers' of European learning, subsequently to appear (often in considerably altered guise) in regions at the European periphery. They discuss the transfer of new scientific ideas, the mechanisms of their introduction, and the processes of their appropriation at the periphery. 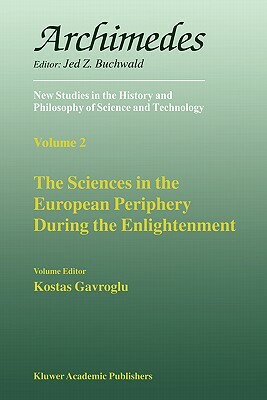 The themes that frame the discussions of the complex relationship between the origination of ideas and their reception include the ways in which the ideas of the Scientific Revolution were introduced, the particularities of their expression in each place, the specific forms of resistance encountered by these new ideas, the extent to which such expression and resistance displays national characteristics, the procedures through which new ways of dealing with nature were made legitimate, and the commonalities and differences between the methods developed by scholars for handling scientific issues.